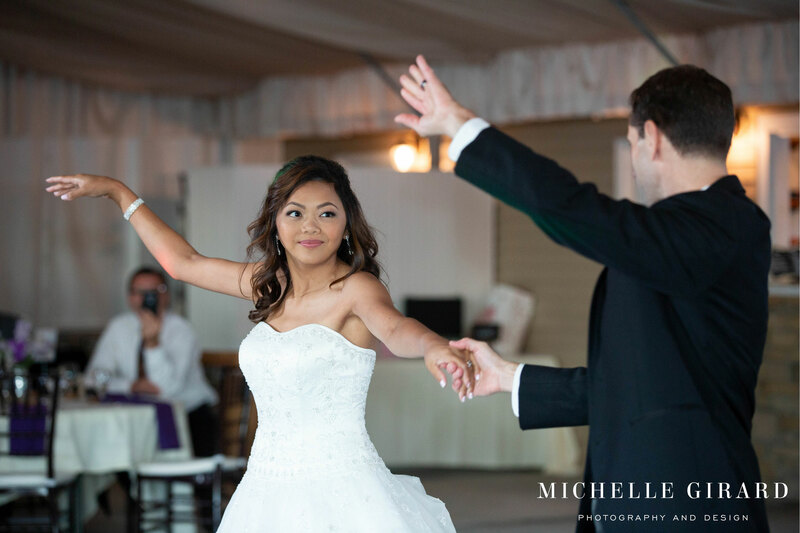 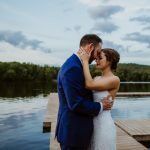 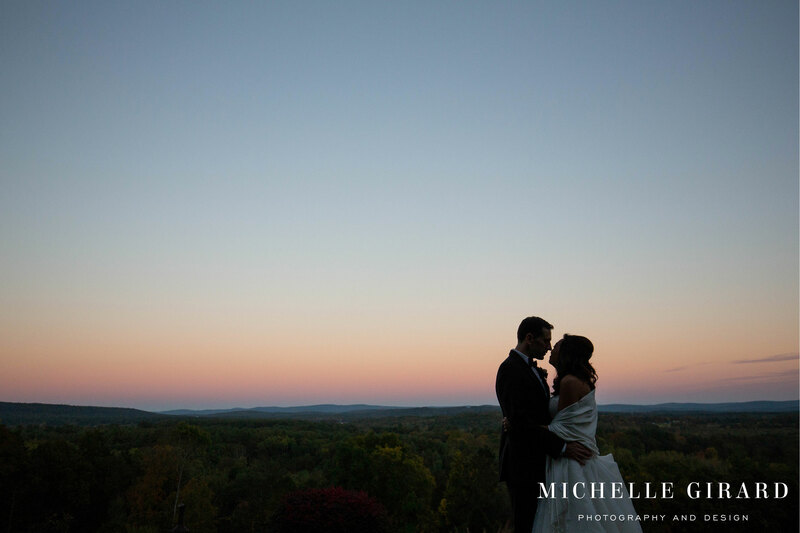 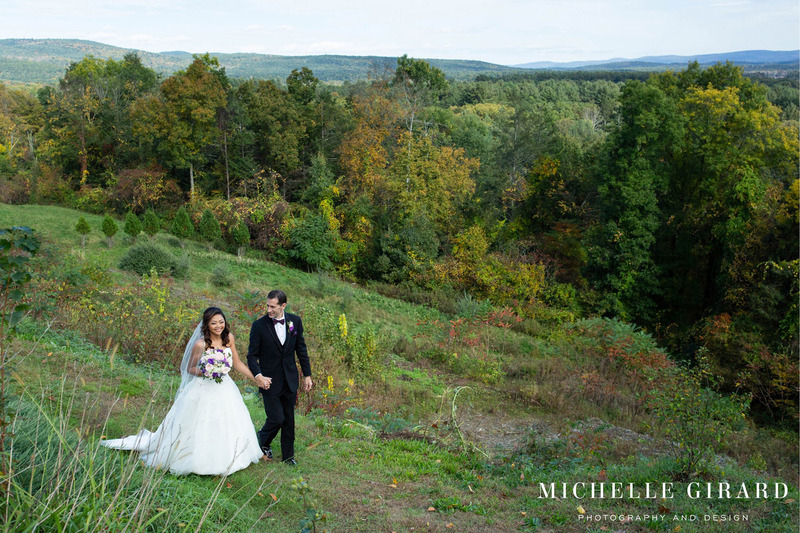 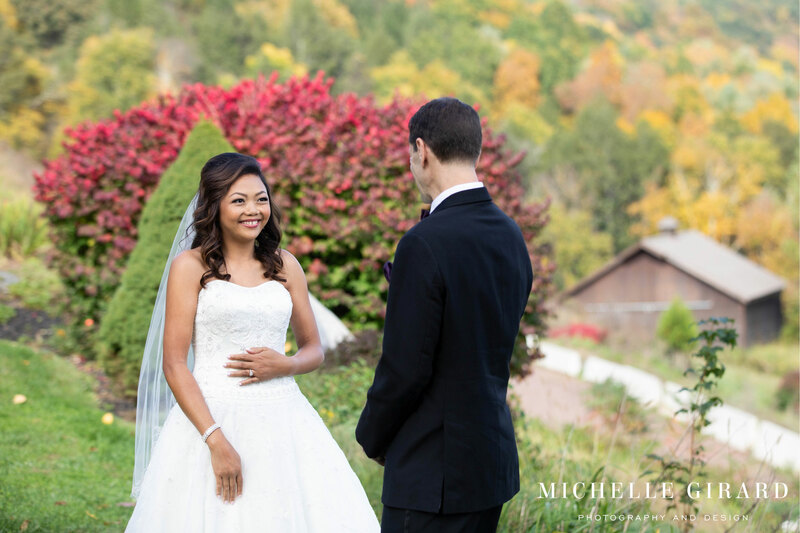 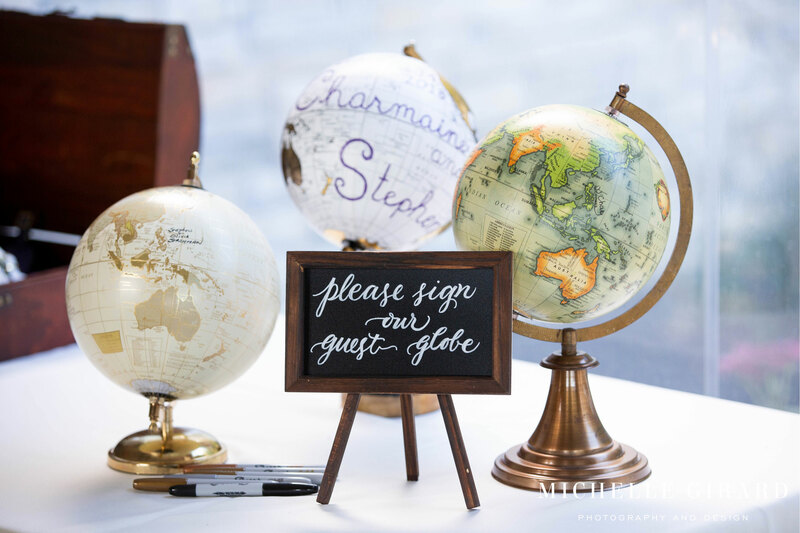 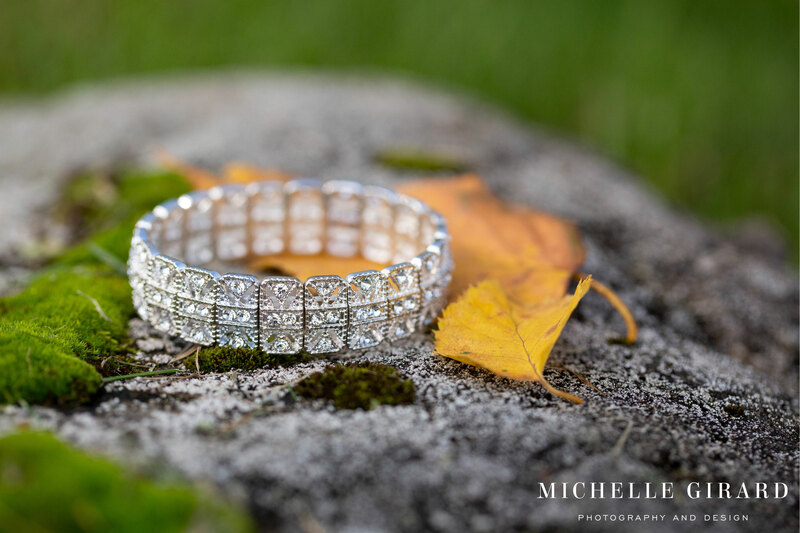 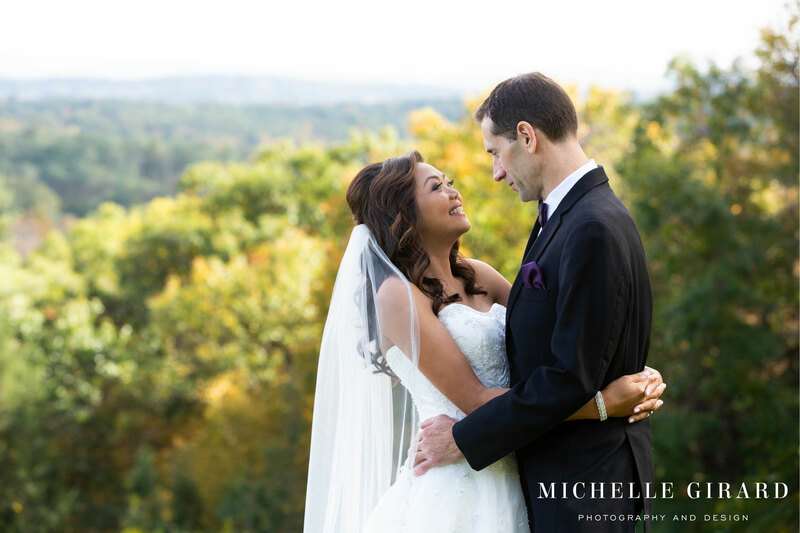 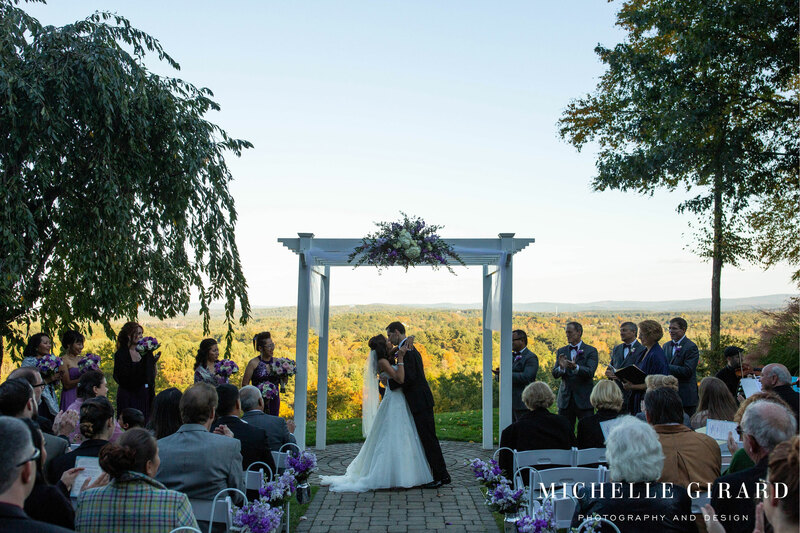 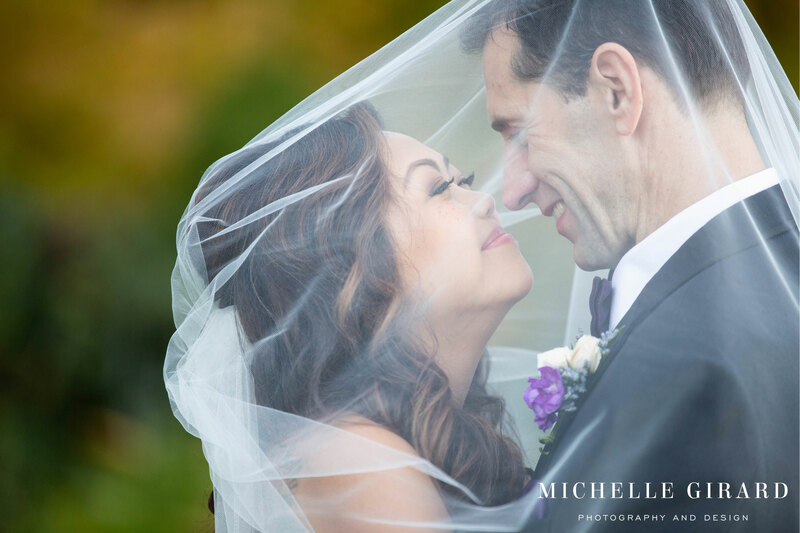 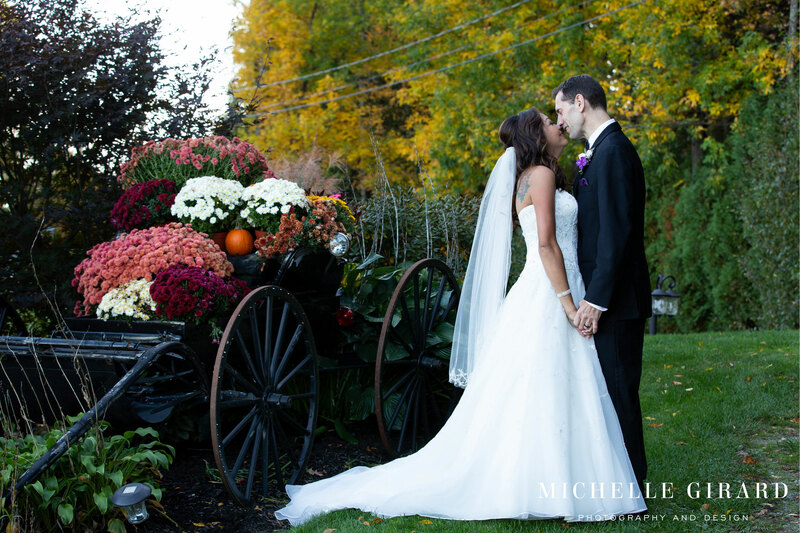 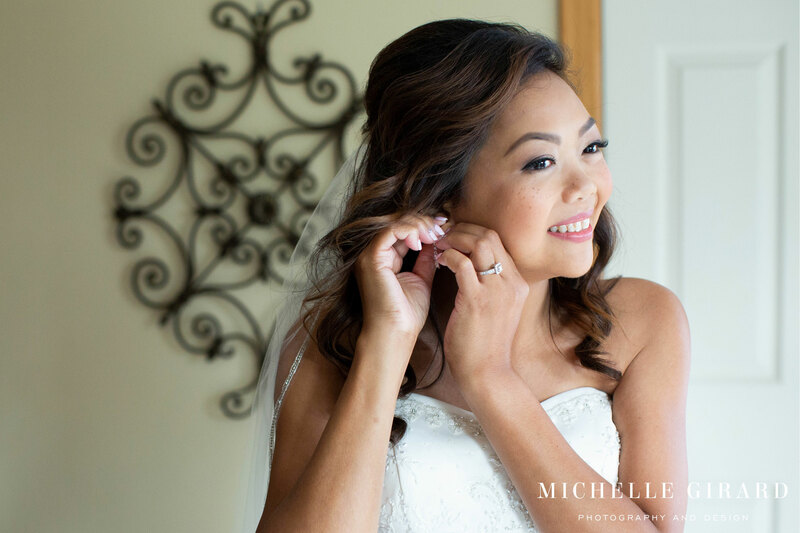 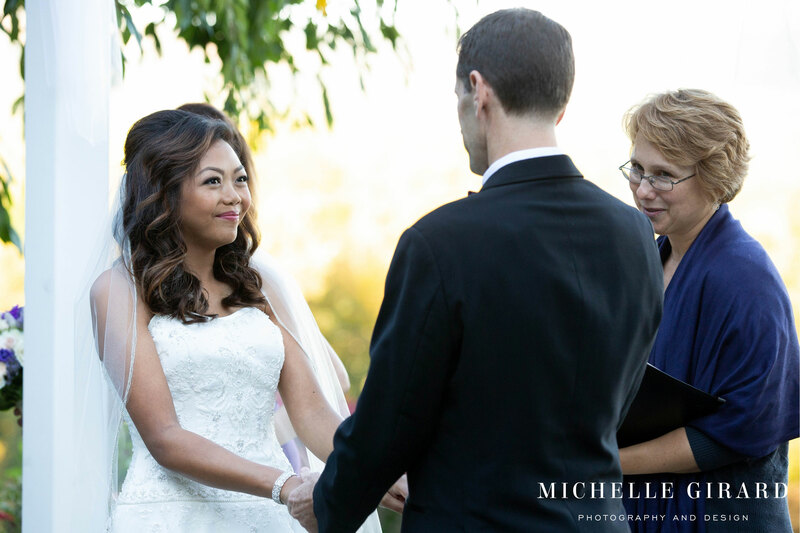 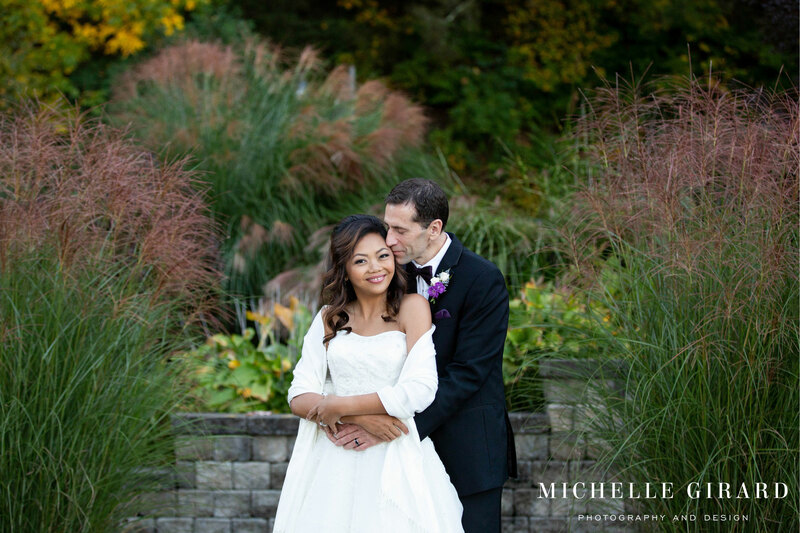 When Charmaine reached out to me, she said that she liked how my brides look “elegant, classic, and timeless,” which is just about the best praise a wedding makeup artist can receive! 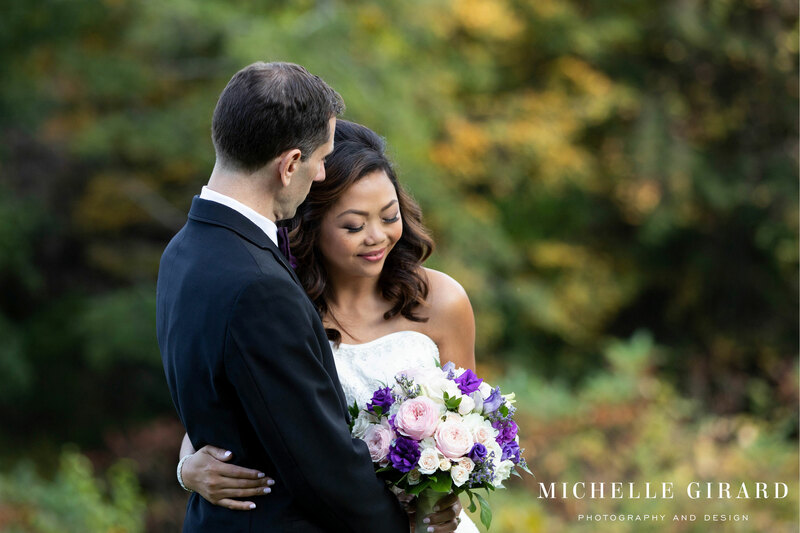 I hope that she will look back on her wedding photos with that same sense: that the look (subtly smoky eyes and fresh skin, with her fabulous freckles on display) stands up to the test of time. 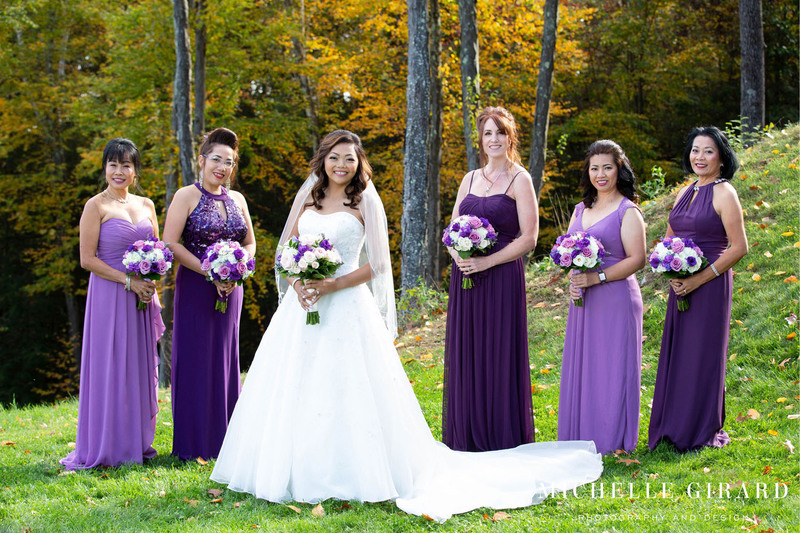 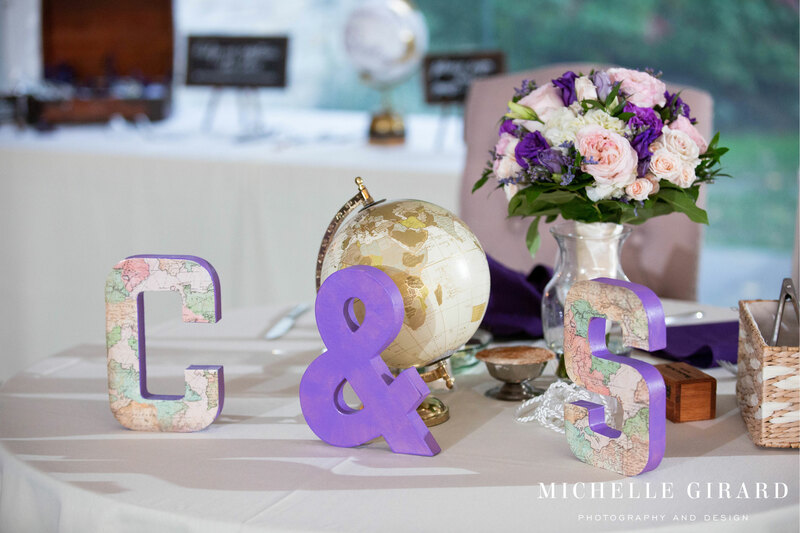 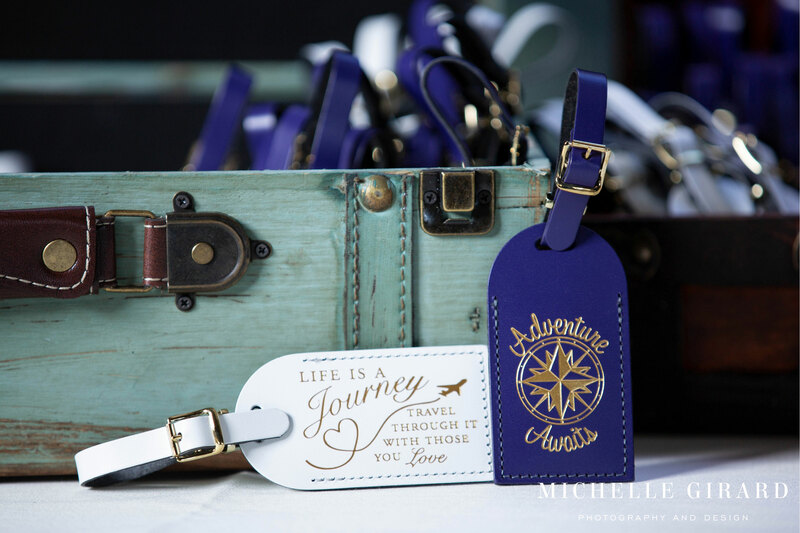 I also loved the mix of purple tones in the maids’ gowns, as well as the chic travel theme that she showcased throughout her reception!